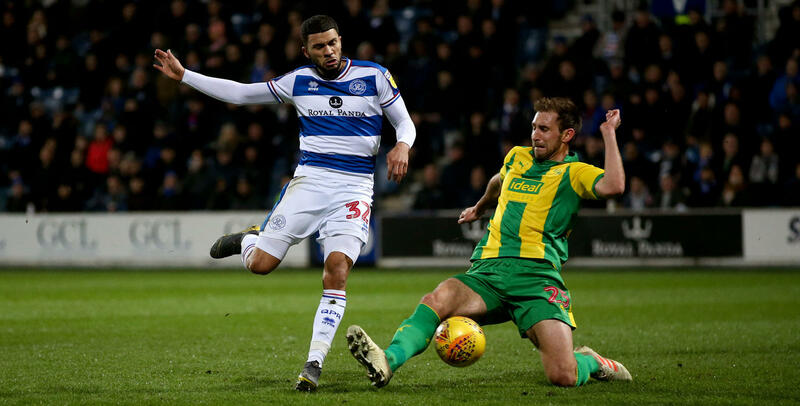 Nahki Wells and his Queens Park Rangers teammates are still searching for their first league win of 2019 after being beaten 3-2 by West Bromwich Albion in a pulsating game at Loftus Road. Rangers once again produced a good performance, with Luke Freeman and Tomer Hemed finding equalizers after West Brom had twice taken the lead through Jefferson Montero and Jacob Murphy. But deep into injury time, Jake Livermore scored for the visitors who took the three points. Jonte Smith was an unused substitute as his Oxford United teammates search for a first league away win continues after a 4-2 defeat at Accrington Stanley. Goals from Billy Kee, Sean McConville, Jordan Clark and Luke Armstrong gave the home side all three points despite a spirited display from Oxford United and a first goal for the club from Luke Garbutt plus a late header from skipper Mousinho to set up a grandstand finish. Reggie Lambe was an unused substitute as his ten man Cambridge United teammates fell short in a disappointing 2-0 defeat to Cheltenham Town in Sky Bet League Two, with a George Taft own goal and a Conor Thomas penalty deciding the encounter at the Jonny-Rocks Stadium. Speaking after the draw at Ashton United on the weekend, Hereford Head Coach Marc Richards gave an update on his attempts to bring in a back-up ‘keeper as cover for Matt Yates. Richards explained that Hereford had agreed for Jahquil Hill, a former Bulls trialist, to come in almost a month ago, but have seen delays due to waiting for international clearance. “We’re trying to sign Jahquil, but we’re having problems with getting the international clearance through,” said Richards. Whilst The Bulls wait for that clearance to arrive, Richards acted to ensure that there was cover on the bench for the weekend’s game at Ashton. Richards admits to being frustrated by the delays in waiting for clearance but was thankful to Marco for agreeing to come in as short-term cover.